BlackBerry Thunder or Storm? | BlackBerry Blast! BlackBerry Blast! > News > BlackBerry Thunder or Storm? After Gizmodo called out BGR yesterday saying there is no BlackBerry Thunder, and that the name is actually the BlackBerry Storm, BGR has responded. 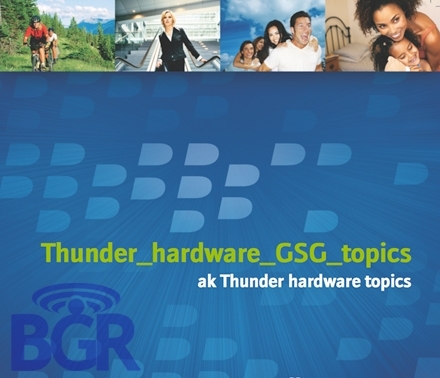 BGR has posted a slide as further evidence that he is in fact right about the upcoming BlackBerry Thunder.